Posted 5/24/2018 1:05pm by Cherry Valley Organics. Are you tying the knot in the Pittsburgh area? 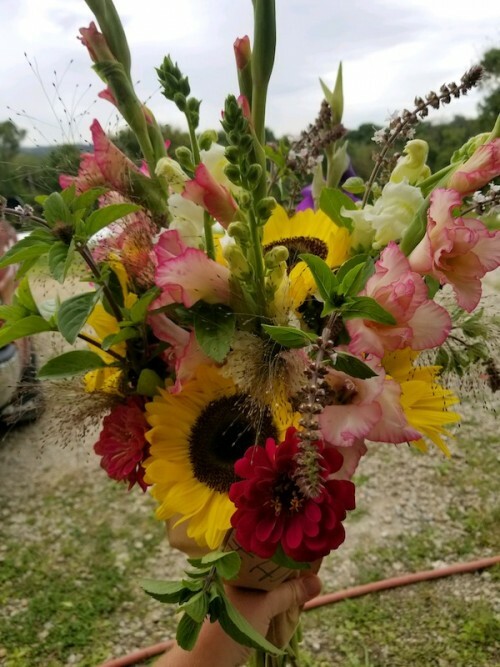 Let Cherry Valley Organics Farm, located just 20 miles from downtown Pittsburgh, grow gorgeous, certified organic flowers for your special day! We're one of the only suppliers of locally grown, organic wedding flowers in Pittsburgh, and we LOVE making one-of-a-kind bouquets, boutonnières, alter and reception arrangements, corsages, and more for "our" brides. 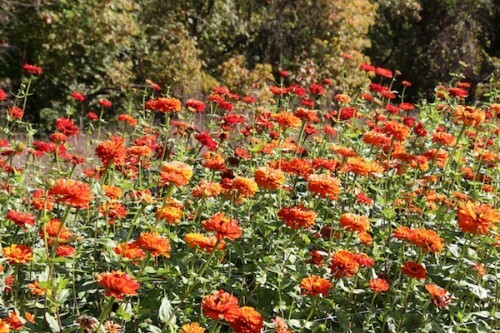 Here at the farm, we grow over 100 different varieties of cut flowers, in every color of the rainbow. 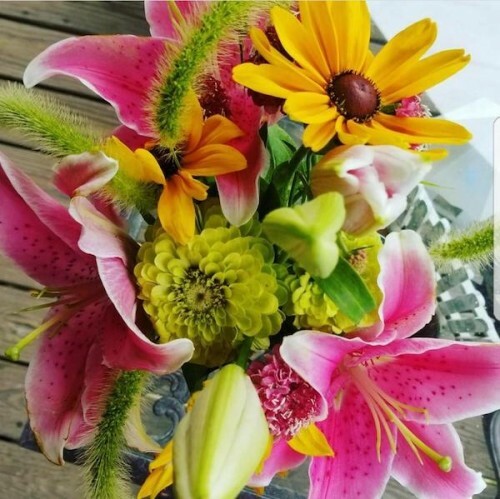 From lilies and larkspur to zinnias and sunflowers, our farm is full of unbelievable colors and textures to make your big day even more special. Based on the timing of your wedding, we work closely with you to select the right flowers for your color palette and design style. Then, we use your choices to build stunning wedding bouquets and floral arrangements based on seasonal availability and our broad array of unique accent flowers you won't find at most traditional floral shops. Cherry Valley Organics is Certified Organic by the USDA. It's a rigorous process that ensures the careful preservation of our farm's ecosystem and prohibits the use of synthetic chemical pesticides, herbicides, fungicides, and fertilizers. That means when you stick your nose into one of our wedding bouquets, you won't smell anything but nature! There's no pesticide residue on your hands when you hold one of our bouquets, and you can feel good knowing that your wedding flowers didn't have to travel 2,000 miles before they arrived at the chapel. Our Grower for Herbs and Flowers, Allie Logue, is a Pittsburgh native who takes great pride in growing incredible blooms for our beautiful brides. You can learn more about Allie and her thoughts on being your wedding farmer here. We also make it easy for you to make your own DIY bridal bouquets from our mixed market bunches, if that's what you'd prefer. If a hands-on approach to your wedding floral design is what you want for your big day, we're happy to provide you with as many mixed market bunches as you need and let you handle the ins and outs of their arrangement. Our level of involvement is all in your hands! Another important floral product we offer our brides is cake flowers. But, instead of being loaded with synthetic pesticides, our cake flowers are colorful, safe, and completely edible! Whether it's calendula, miniature roses, bachelor buttons, or violets, we offer dozens of edible flowers for wedding cakes in packages of 30 fresh-picked blooms. They're capable of taking even the tastiest wedding cake to a whole new level! If you'd like us to provide organic flowers for your Pittsburgh-area wedding, here's how to get started. 1. Please get in touch with us us here or connect with us via social media to set up an appointment to discuss the details of your big day. Ideally, we like to have at least 4 weeks notice, but the earlier you book, the easier it is for us to confirm the availability of certain colors and/or flowers. 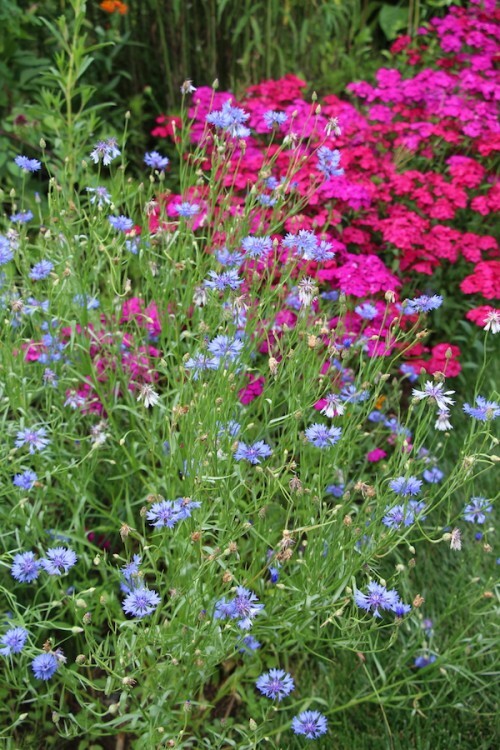 If you book far enough in advance, we can even grow special choices just for you! 2. After the consultation, we put together a proposal and pricing information for you. This helps confirm that we're all on the same page with every possible detail. If there's a lot of design work involved (corsages, boutonnières, reception pieces, etc), or if the order is large, we do require a 25% deposit when the wedding is booked. 3. Next, it's time to decide upon your delivery option. If you'd like, you can pick your wedding flowers up at our farm, no matter how big or small the order is. But, if your wedding flower needs are substantial, we can also deliver the flowers to your home or wedding venue for a delivery fee based on the location. We'll work closely with you to figure out the best option for your special day. 4. Get married... while carrying an incredible bouquet of locally grown, organic flowers you can feel proud of! 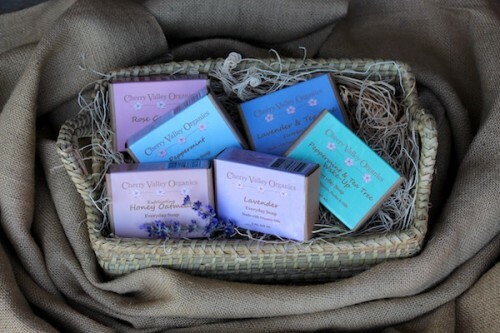 In addition to providing wedding flowers in Pittsburgh, Cherry Valley Organics also makes small-batch organic soaps, salves, and other body care products. Our handmade body care products make exceptional gifts for your wedding guests and members of your bridal party. Our boxed soaps have been on the guest tables of many Pittsburgh weddings. In fact, they've even been turned into guest name cards to tell wedding attendees where they're seated at the reception! Our organic bath and body gift baskets have been enjoyed by countless bridesmaids and mother-in-laws, too, as part of the wedding festivities. We also provide cut flowers to many local Pittsburgh florists to sell at their storefronts. 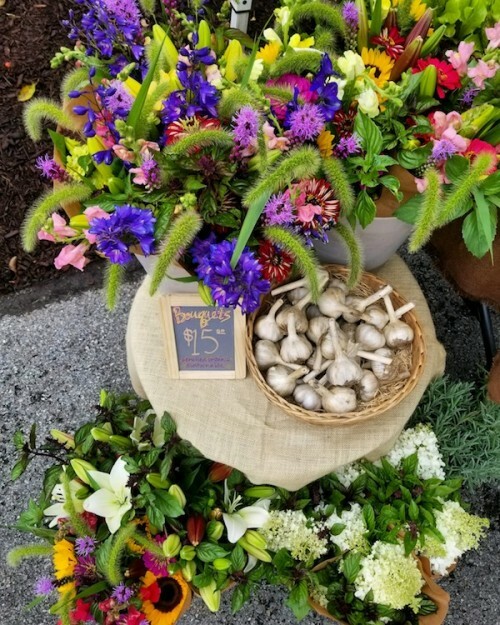 If you'd like a traditional florist to handle your wedding needs, but would still like to have our organic, locally grown flowers used, we highly recommend these amazing local businesses. We hope you'll be in touch soon! Creating seriously special and simply stunning bouquets and arrangements for your wedding would be an honor!